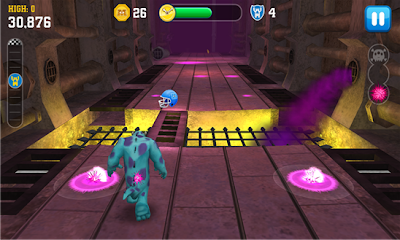 More game from Disney for Nokia Lumia with Windows Phone 8, now is the turn for "Monster University" game, available at Windows Phone Store. This game is suitable for Nokia Lumia with Windows Phone 8 with minimum 1 GB of RAM. 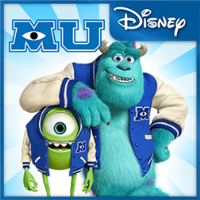 Enjoy 2 mini games based on the Disney Pixar film “Monsters University" with up to 30 challenging stages. There are 3 characters that you can select: Mike, Sulley, and Squishy. 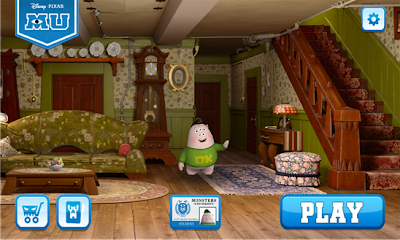 Get a hold of Archie the Scare Pig, the squealing mascot of Monsters University’s rival school, Fear Tech, in this thrilling mini game! Chase Archie in 30 exciting stages, and tire him out to win each stage! Jump, slide, and dodge tricky obstacles throughout campus! Compete in the first scare game event of the year, and put your agility skills to the test! 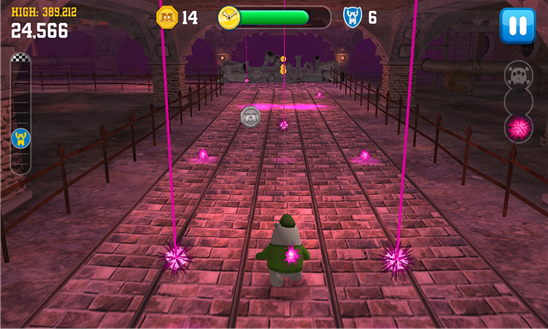 Race against the clock, and run through the sewers before time runs out. Watch out for the stinging glow urchins that will sting and slow you down throughout all 30 stages! Play as 3 of your favorite monsters: Mike, Sulley, and Squishy. Level up to unlock special power-ups! Find and collect Scare Cards featuring famous monsters. The Scare Games continue soon with updates that will include more characters and new mini games based on the other events!